It is indeed that sample as switching a knob to turn it on. To enable it you will have to set a reasonable among of memory for your environment. In my test environment, I used the following to fiddle around with some XML in memory option tests. Via the SYS account or SYSDBA privileged account you must have the compatible database parameter set to 12.1.0.2 or higher and a proper value for the inmemory_size parameter. And that’s it. 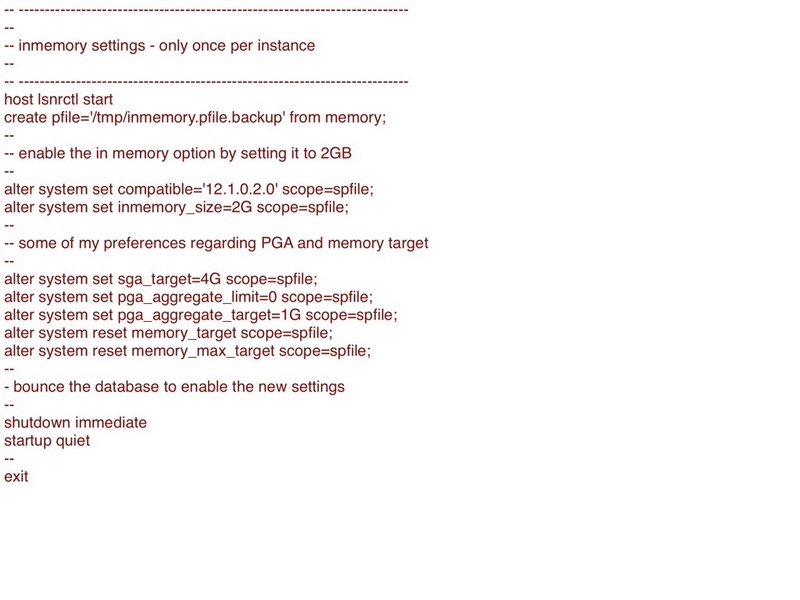 After bouncing the database the in memory database option will be in effect.